Famous for playing ‘Alya Kendrick’ in the hit Canadian sitcom called, ‘Backstage’, it is running since 2016. Aviva Mongillo is a young 20-year-old actress, born on February 6, 1998, at the age of 10 Aviva started to take interest in music, and by the time she 12 years old she began taking guitar lessons. 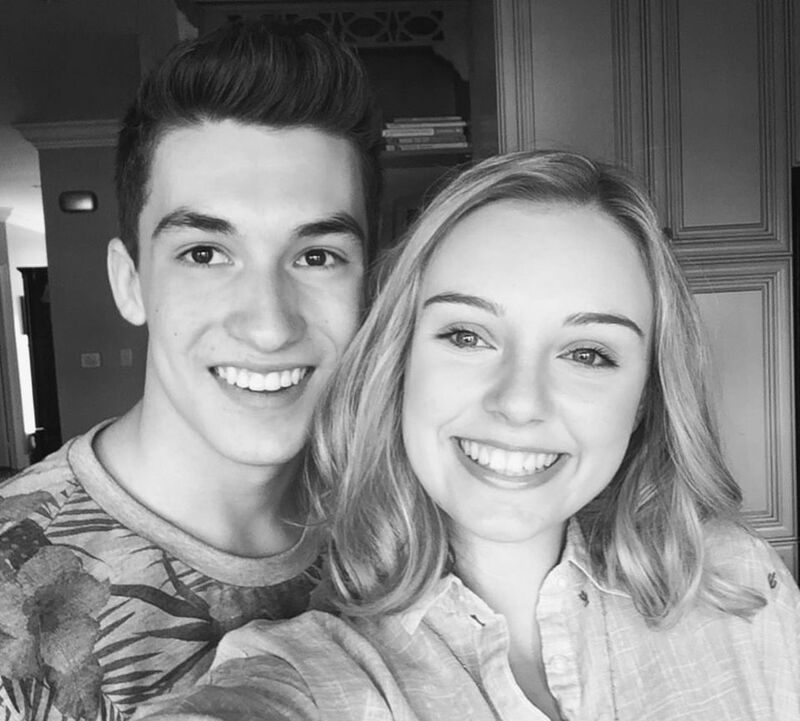 Is Aviva Mongillo dating Josh Bogert? Net worth Not Known (But it is believed that she is living a lavish lifestyle more than a 20-year-old could imagine. Aviva Mongillo has a very shy nature, in results, she has not shared any further details about her personal life, whether it relates to her family or relationships. Who is Rebel Wilson dad? The only relationship of hers came public was with Josh Bogert, her co-star on ‘Backstage.’ They met on the set and soon started dating. Josh is a multi-talented rising star; he is two years younger than Aviva. His birthdate is August 16, 2000 (18-year-old). They never saw to be making out, while the fans of the show are desperately waiting for it to happen. In one of the episode, they were close to kissing each other but got interrupted by a phone call (Dammit. However,…Okay, ok it is a spoiler.) The lovebirds keep their fans up to date on the relationship via Instagram. Is Katy Perry and Orlando Bloom are back together? When Aviva was still pursuing her education, she auditioned for the role of, ‘Scarlet’ in ‘Backstage.’ Due to her lack of dancing skills, she landed on the role of ‘Alya.’ As soon as the show aired it became a major hit, the show is rated 7/10 by imdb. She is a part of the show since 2016. In 2017, she appeared in a supporting role in the movie, ‘Don’t Talk to Irene’ as Sarah. By side acting, Aviva is a rising singing star. In 2016 she signed a contract with ‘Cardinal Point Music’ and debuted on September 15, 2017, with her extended play album, ‘Songs About Boys.’ The album includes songs like- ‘Hype’, ‘Princess Don’t Cry’, ‘Hurt Like Hell’ which all charted on top in Canada. Aviva Mongillo is a star, nevertheless, she still tries harder than any other in order to pursue her dream, Aviva also runs a YouTube Channel where she posts covers of other artists songs. The Young multi-talented star Aviva Mongillo is very active on socials, she has made a profile on every social media platforms. Aviva’s twitter account (@avivacm) has thousands of followers. On her Instagram account (@avivacm) has over 79.8K followers. Her YouTube Channel ‘Aviva Mongillo’ has over 16K Subscriber. She is still growing and we are sure that Aviva will shine bright like a Star. Everything you need to know about The Most Popular Instagram Model Sommer Ray. Great pieces. Keep posting such kind of info on your page. Hey there, You have performed an incredible job. I’ll definitely digg it and personally, recommend to my friends.